Every week I look through all the new releases and select my pick(s) of the week, so here are this weeks picks of the DVD releases January 2 2017 in the UK. You may have just seen this one over Christmas on television in the UK. This is from the creator of The Snowman Raymond Briggs, yes it’s Ethel & Ernest. 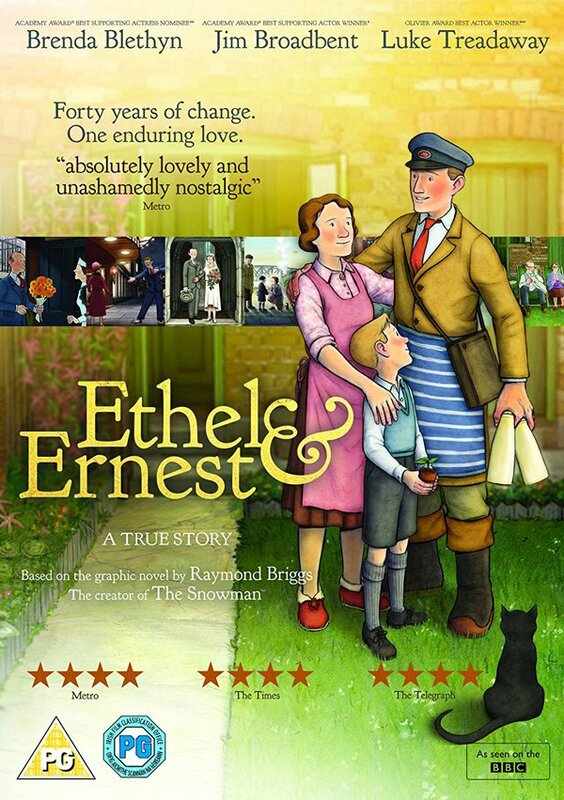 This is the true story about Raymond Briggs parents Ethel & Ernest, plenty of laughs and very nostalgic. As with the Snowman, Ethel and Ernest shows the joys and sadness of life. So just the one DVD release of interest to me this week, but one I feel that is genuinely worthwhile watching.